Integral Management-IV Steering the Organisation—M.S. Srinivasan. Future of Religion-I—by M.S. Srinivasan. 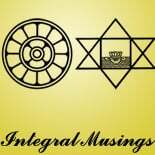 Integral Management-III Nurturing People: An Evolutionary perspective—M.S. Srinivasan. Buddha and the Sculptor-M.S. Srinivasan.